We mark the loss of our dear friend Mike Space, who passed away in his sleep on the island of Vieques, where he and his wife Judi had retired for the winter. Mike realized he was Not Normal at an early age, and never tried to conform. His first car was decidedly not normal, an Austin A35. His second car was a primer red Aurelia B20 (ex-Olivetti family, it turned out), followed by a brand new Fulvia 1.3 HF in 1968 (which he successfully raced), still in High School. An ardent and tireless advocate for our marque, he introduced countless people to Lancia over the years. 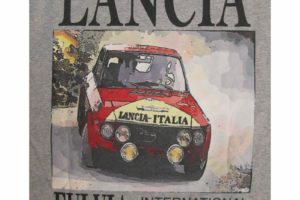 Mike embodied, he was, HF, High Fidelity to Lancia, though in his own inimitable style. His pride and joy was an Aurelia Convertible, fit with a Flaminia motor, that he’d gently restored after I’d sold it to him twenty years ago, as well as his barn-find Appia Berlina. His vintage racer was an ex-Bob Dudley Fulvia 1.3 that he’d made into a Faux-HF. 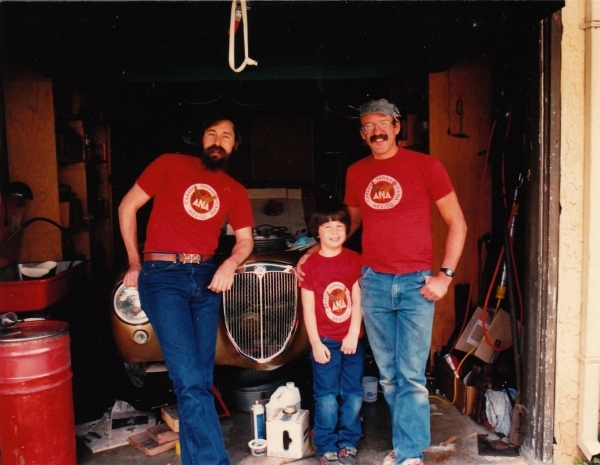 That said, Mike was an automotive omnivore; he owned, drove, and worked on damn near everything, from construction equipment to Ferraris. An accomplished driver, as at home on the track as he was on the road, in Sept. he’d spent a day in his all-original 1275 Cooper S leading pace car laps of both Watkins Glen courses. 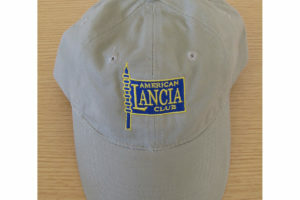 A near life-long member of the ALC and contributor to Lanciana, he also belonged to a number of other car clubs over the years, and in particular was an active member of FLU. He had organized and put on the Hellertown Italian Car Show for the last two years, all for the greater glory. It has been resolved that it will be continued, in his name. Mike was a skilled and talented artist, musician, and craftsman, with eclectic interests and an unbounded curiosity, one of those people whose infectious joy of life left others smiling, and made him friends wherever he went. He had more energy than he knew what to do with, and was always ready to dive in and give a helping hand to friends and strangers alike. Over the years he had an auto parts store, worked as an automotive line and independent mechanic, and as well as having his pilots license was a certified aircraft and helicopter mechanic. Although most people reading this know him through cars, music was another major part of Mikes’ life. His relationship with the Philly Folk Fest dates back to the 1970’s; among other positions they held there, he and Judi still belong to the Groundz Crew that sets up and breaks it down each year. For a dozen years Mike was musical director, a board member, and a soundman for Godfrey Daniels, one of the longest running (way more than) folk music clubs in the country, and had just stepped back. He had his own radio show, the Blend, on WDIY, Bethlehem Pa. public radio station. Mike and Judi also held house concerts for musical friends at Space Mountain, the home he had designed and built. The next one had been scheduled for April, right after their expected return in the spring. But there were times when his life’s work seemed to be reanimating automotive orphans, and in fact it continued to the very end. In spite of promising Judi he wouldn’t be doing any automotive work on Vieques, he immediately made friends with someone whose car needed “a bit of help”. I was 17, newly arrived at art school in Philadelphia, when I met Mike, and it was through him that I met Jeanne, his ex-girlfriend, who became my wife. We are grateful to have had Mike in our lives for so long, and are the poorer for his absence. My words do him little justice. We miss him greatly. He leaves behind his beloved wife Judi, and many friends spread across the face of this Earth.